Mental Health First Aid for Older Adults addresses the unique mental health challenges people aged 50 and older experience and teaches participants how to notice and respond to an older adult who may be living with a mental illness or addiction. Learn more: download the Mental Health First Aid for Older Adults one-pager. The addiction rate for Americans aged 50 and older is expected to almost double to 5.7 million by 2020. More than 1 million adults aged 65 and up had a substance use disorder. About 15 percent of older adults aged 60 and older live with a mental health disorder. Provides resources on different treatment options for older adults living with addictions. 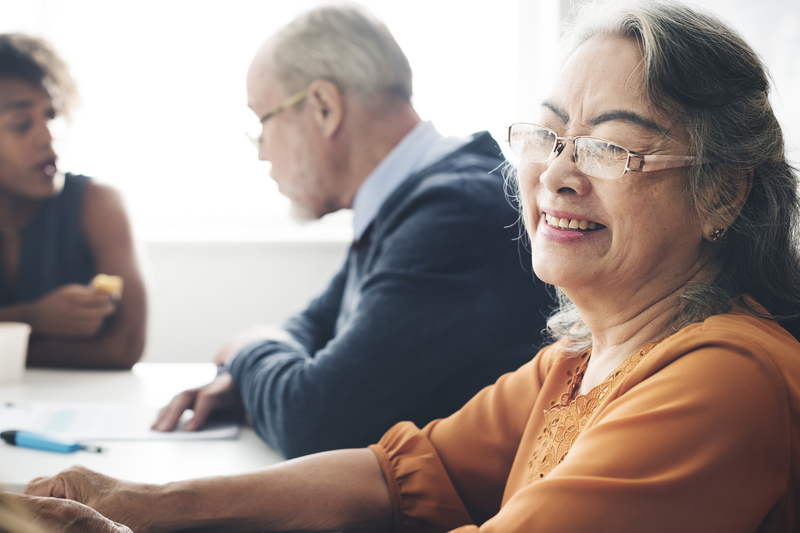 Teaches skills to help older adults deal with major life stressors such as loss of loved ones, decrease in functional ability and retirement. Demonstrates support strategies so caretakers can better assist older adults living with mental health challenges.